Been doing a number of fun interviews for the new collection, The Angels of Our Better Beasts. Here’s a round up so far for the months of December and January! CBC NORTH: Dave White has a chat with me about my new book and the Whitehorse launch of the book here on Soundcloud. WAG THE FOX: a den for dark fiction interviewed me for The Angels of Our Better Beasts. It was a fun interview! You can find this interview here. FULBRIGHT: Fulbright Canada asked me to write a guest blog about how receiving a Fulbright Fellowship to Canada influenced the writing of this book. Most of that information, specifically how the Yukon helped me develop as a writer, I covered in the interview I did with Jessica Simon. But specifically, I talk here about how important going to another country can be to you—especially if you let yourself be permeated by the culture of that country. Being open to Canada was the beginning of a great journey for me. Launching Beasts in Whitehorse at -32C. It was -35C in the Yukon Territory on December 13, and Baked Cafe was still packed. It’s a testimony to great friends I have in Whitehorse and the extent Yukoners will go to support musicians and writers and artists. Anyway, the Launch. Yes. So happy to have Marcelle Dube and Steve Parker there to read with. Marcelle Dube is primarily a mystery/thriller writer in Whitehorse, but she does have science fiction and fantasy stories. Steve Parker is best known for his Skrelsaga–and we hear he’s working on a sequel. 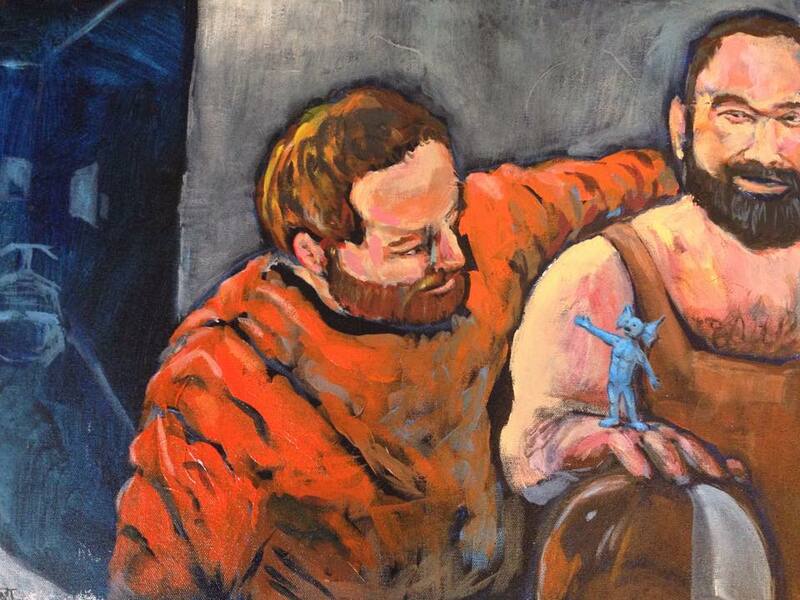 These two writers have been my friends for nearly as long as I’ve known the Yukon. So–reading with them, and reading in Baked Cafe was a real wonderful pleasure. I made a video of the launch–or at least of the parts before we started reading. I wanted to give you a feeling of what it was like to have friends be there for you in a warm space inside a cold, cold night. Sarah MacDougall kindly lent her song, “Cold Night” to the video. 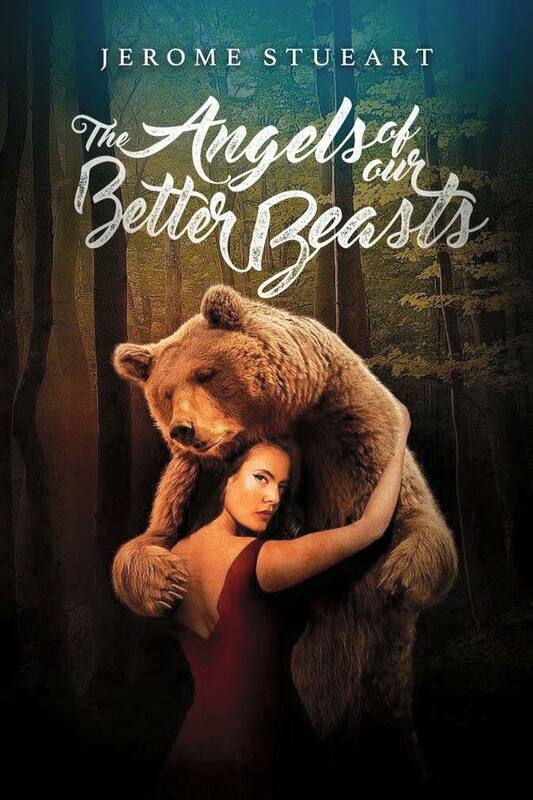 When I went to World Fantasy in Columbus, Ohio, we debuted my book, The Angels of Our Better Beasts, and as a bonus, I offered to draw a free beast of your own creation. Many people took me up on that! They described to me beasts and I drew them, and here are some of those beasts. If I drew a beast for you and it isn’t present, it could be because I didn’t have a photo of it, but if you send it, I will add it to the collection of beasts. What I learned: that we all have a favorite creature–and that we have imagined them before. Very few of you made up something on the spot. You were ready. You had a Beast in Mind. As part of our childhood, as part of our parenting, or as just something we’ve longed to see as real. At different times as a child, I used to walk around with an invisible Pegasus, an invisible Lassie, and I can’t tell you too much more about the werewolf I thought would come for me when I was a teen–except that he was there, on the fringes of my consciousness. I was a creative kid. You are too. Your beasts travel with you. There is nothing to be ashamed of in having your Beasts. They are often playful, sometimes scary. But the scary ones even bring a smile to people’s faces, as if the very badass-ness of the Beast they’ve created is wonderful. Most of the beasts were Whimsical which I guess means that we see furry creatures as part of a fantasy, not a horror. I know online RPGs enjoy giving you “pets” of exotic beasts and people love collecting those. I’m glad I could be a part of making your beast come to life! So if you have a beast not pictured here, and you send me the picture of it, I’ll add it here. Just a note: I’m not running the free beast with a book program right now. All of you I’ve promised a beast to are still getting one, if you don’t have it already… but it was a great promotion for the launch and for the Toronto Launch too. I will start this up as a promo later in the year with ChiZine again so watch for the chance to get your Beast realized. Until then, please enjoy these beasts! And let me know where to find the rest!